James Fink, 4th year Ph.D. student in the Levine lab, was selected as the recipient of the Milton B. Wallack Trainee Award at the StemConn 2017 meeting. 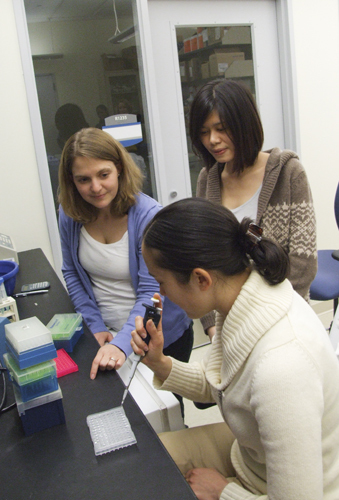 This award honors excellence in research conducted by a graduate student trainee through a merit-based award that recognizes highly innovative and important stem cell and regenerative medicine research. 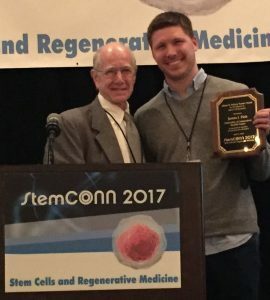 The award is presented in honor of Dr. Milton Wallack, the founder of the CT Stem Cell Coalition, a longtime member of the CT Stem Cell Research Advisory Committee (SCRAC), and an ardent champion for stem cell research in Connecticut. As the awardee, James gave a podium talk describing his research using a human stem cell model of Angelman syndrome. 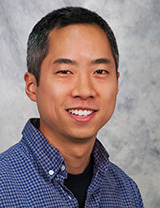 Mason Yeh, postdoctoral fellow in Eric Levine’s laboratory, was awarded a seed grant from IBACS, the Connecticut Institute for the Brain and Cognitive Sciences, for a project, entitled “Development of a 3D culture model of human cortical development”. The goal of this project is to develop a three-dimensional cell culture system for growing cerebral organoids (sometimes referred to as “mini-brains”) from human induced pluripotent stem cells (iPSCs). The long-term goal is to use this culture system to study molecular and cellular pathophysiology underlying autism and related neurodevelopmental disorders, with the hope of identifying novel targets for therapeutic intervention. Congratulations, Dr. Yeh! For a full listing of the 2017 IBACS awardees, http://ibacs.uconn.edu/research/.